Red Robin is a restaurant I have been eating at for years. I remember going through lots of bottomless fries in my younger days. But my favorite has to be the Whiskey River BBQ Burger. This one of their classic gourmet burgers. 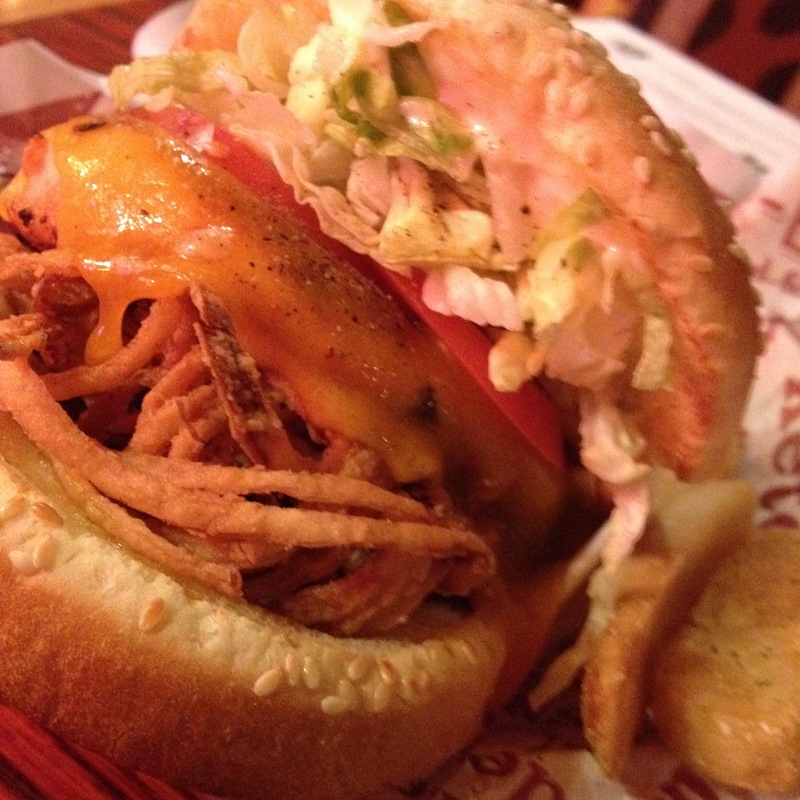 It’s topped with their signature bourbon-infused Whiskey River BBQ sauce, crispy onion straws and cheese. It’s their tangy tribute to the Wild West. Whenever I’m in an indecisive mood, this is always my go-to item. You can never go wrong – delicious! This entry was posted in American Food and tagged BBQ sauce, bottomless fries, Gourmet Burger, onion straws, Red Robin, Tangy sauce, Tempe, Whiskey River BBQ Burger, Whiskey River BBQ Chicken Sandwich, Wild West by ttimmons. Bookmark the permalink.